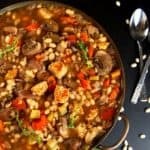 An easy, savory, flavorful, meaty and piping hot bowl of Mushroom Stew is exactly the kind of food I crave on a cool Fall day. 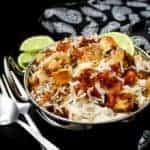 This recipe is delicious, needs just one pot, and it takes under 30 minutes to make. Serve it over pasta or with a crusty bread. Vegan, gluten-free and nut-free. This vegan stew recipe is one of my weeknight go-tos, and I am excited to share it with you today. 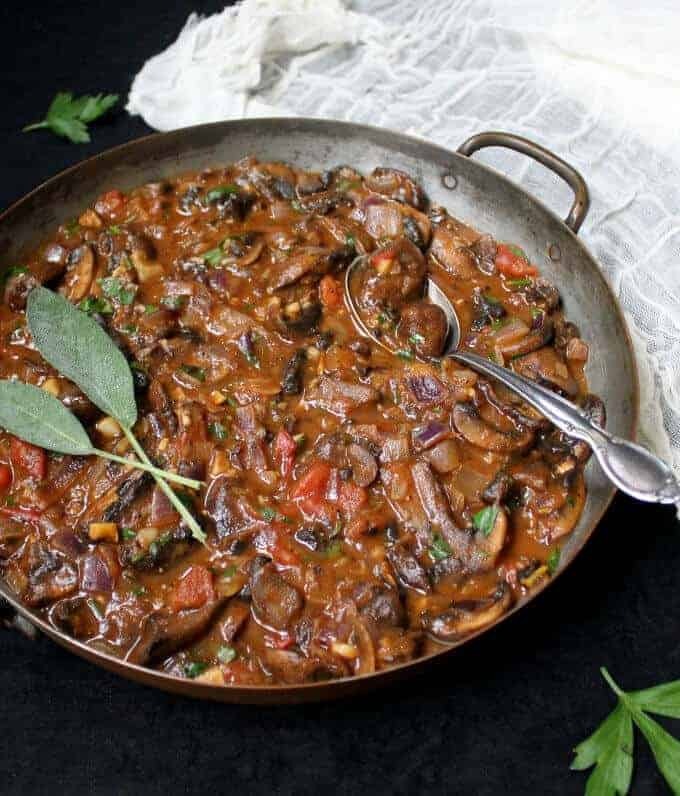 My easy but hearty Mushroom Stew delivers more flavor than you thought possible in less than 30 minutes and with a handful of ingredients that you likely already have in your pantry. This is a versatile recipe. Use whatever mushrooms you have on hand, and if you have one or many kinds, that’s perfectly fine. 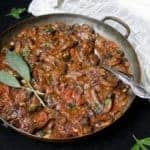 I love mixing some wild mushrooms with fresh for this recipe, but this time I made it solely with cremini mushrooms because that’s what I had on hand. I used the only two garden herbs I still have growing at this time — sage and edible lavender. They are doing okay despite the chilling winds that some tropical storms have been blowing our way this week, thank you. I’ve made this recipe with dry herbs in the past and any kind is fine so long as you use a savory herb like rosemary, sage, or thyme. 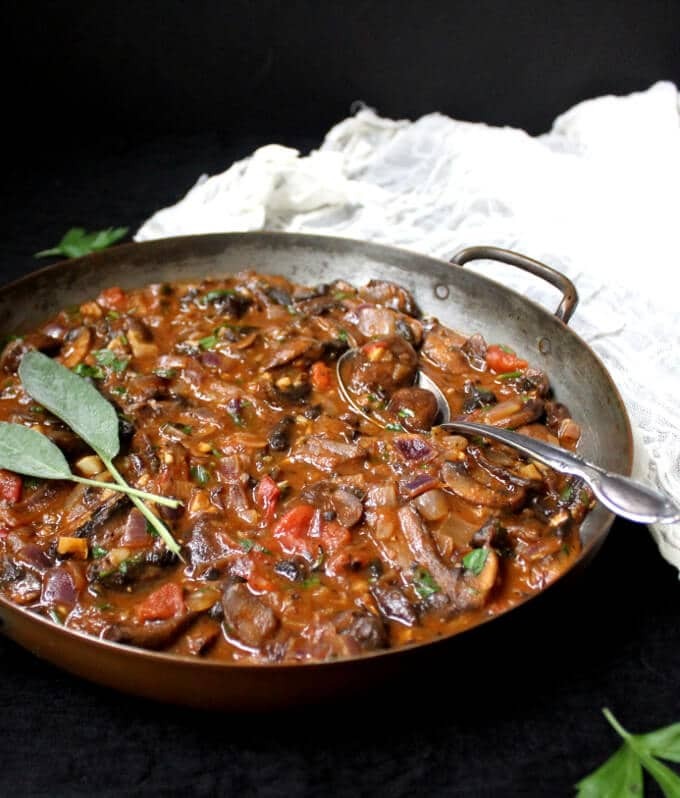 My favorite way to eat this vegan Mushroom Stew is to ladle it over some pasta, but serve it with a bread, if you’d rather, for a quick, easy and delicious dinner everyone will thank you for. An easy, savory, flavorful, meaty and piping hot bowl of Mushroom Stew is exactly the kind of food I crave on a cool Fall day. 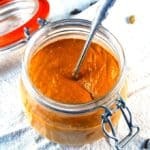 This recipe is delicious and it takes under 30 minutes to make. Serve it over pasta or with a crusty bread. Vegan, gluten-free and nut-free. 16 oz mushrooms, sliced Use any kind-- I used cremini this time. If using wild mushrooms like oyster mushrooms or shiitake, rehydrate them by immersing them in hot water for 20 minutes. Reserve the stock for use in stew. Heat the oil in a saucepan. Add the onions and garlic with a pinch of salt and some ground black pepper and saute until the onions start to soften, about 3-4 minutes. Add the white wine to the pot, if using, and saute until there is no visible liquid left, about 3-4 minutes. Add the rice flour and stir for a couple of minutes. If the flour begins to stick to the bottom, scrape it up with the ladle. Add the tomato paste, stir it in, and then add tomatoes. Let the tomatoes cook down for another 2-3 minutes. Add the herbs, mix well, then add the mushrooms. Saute for a couple of minutes until the mushrooms begin to express their juices, then add the tamari or soy sauce or liquid aminos, vegetable stock, and season as needed with ground black pepper and salt. Let the mixture come to a boil and continue to cook for a couple of minutes. If it looks too dry, add more stock, a little at a time. I like this stew rather thick, but you can think it out according to your taste. Garnish with parsley and serve hot over pasta, rice, or with crusty bread. Vaishali, I am in awe. 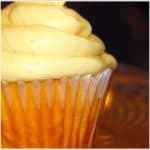 You come up with these delicious recipes that look as good as they taste. 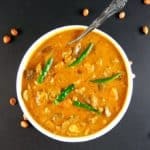 I have tried many of your recipes — your mushroom curry is a favorite around here. Thank you, thank you!!! Adored this. Thanks so much. I used to make a mushroom stew with red wine and lots of tomatoes and little pearl onions, but it didn’t have the depth of flavor this one did. I used red wine in this and fresh rosemary. Added 1/2 cup dried reconstituted mushrooms. And green peas for a touch of color. Served over spaghetti squash. This was perfection. Now why can’t French restaurants (any restaurant, really) be offering stuff like this on their menu? It’s easy to make and so delicious. They could even use it as a side dish. Oh well. More fun (and cheaper and healthier) to cook at home! Hi Ellen, so happy you tried it. 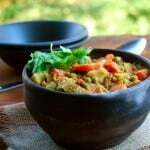 I love it with dried mushrooms, and green peas are a great idea. Vaishali, your site is a “go to” for me. Everything I’ve made from your recipes has been flavorful and easy to put together. Your recipe for mushroom strew was wonderful. I used baby ports for the mushrooms-so delicious. When your email appears, I click on it right away to see your latest recipe. I’m sure you’ll like your new Instant Pot, I use my all the time. 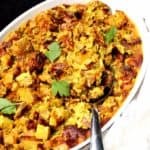 I’m looking for to making your Instant Pot potato korma this weekend. 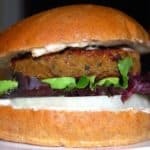 Hi Vaishali, I’m new to Vegan cooking. 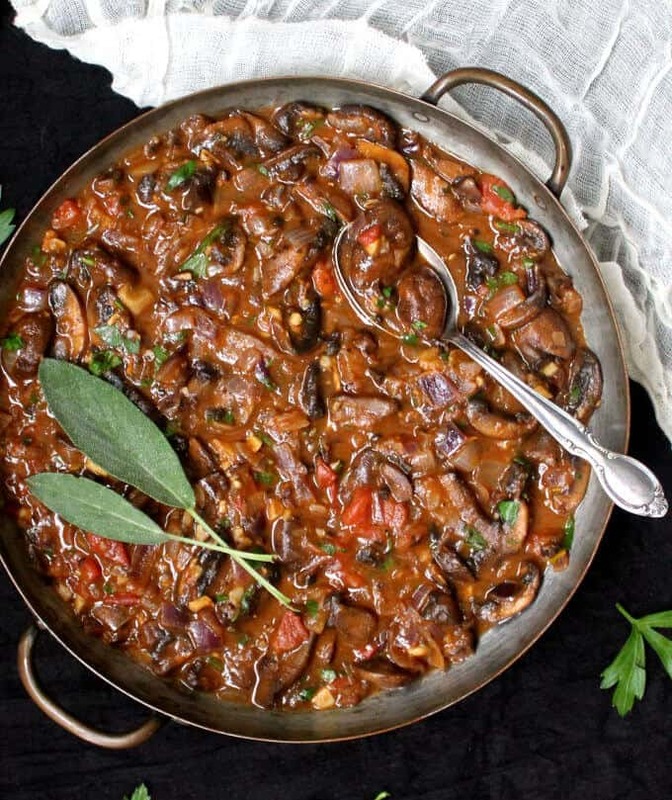 This recipe for mushroom stew sounds delicious and I hope to try it soon. I just wondered if I could make this stew and freeze any I didn’t use? I am the only vegan in the house so having frozen portions would be handy for me to have. Hi Pamela, you could definitely freeze it. Since the mushrooms are already cooked, freezing would not alter their texture. 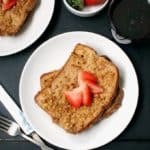 Hi, I would like to try making this for me and my son but he has a soy protein allergy. What could we replace the soy with? Thank you! Hi Tracy, just go without the soy sauce/tamari. It should still taste good. Cheers. This was delicious! Great recipe, thank you! 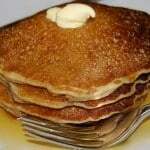 Can I use regular flour? Dont have rice flour-havent even seen that before. I used rice flour to keep it gluten-free but if you don’t need to be gf, you can go with regular all purpose flour. Made it a few times. Love it. Good with lentils too. Used a mix of mini portabellas and cremini. WONDERFUL! I’ve been having trouble with some mushroom recipes being too rich and heavy. This is a light spice blend with a moderate depth of richness. Not overbearing. Had it with your sprouted chickpeas and wild rice blend for a perfect winter’s dinner. Perfect for two with leftovers. Would be gone if we had four or if it was all we made for two. Will definitely make again.